Payday loan is a short-term unsecured type of loan through which an individual can get cash instantly. People apply for quick or fast loans for several reasons. Among the major reasons is an unexpected bill payment, medical expenses or even urgent financial need which can’t be fulfilled. There are even times when an individual cannot wait for his/her payday and so faces the needs to borrow money from lending companies. 1. These loans are provided to those who are at least 18 years of age or above. 2. The borrower must be employed in the current job for at least six months now. 3. The borrower must have an active bank account. 4. An individual can borrow from $100 to $1500. 5. The duration of repayment is 14-31 days. 6. High rate of interest is charged on these short term loans. 7. Additional financial charges are also levied on the loan amount if borrower applies for extension of repayment period. 8. Borrower can submit the application form over the internet or by visiting the money lending firm. If you fulfill the above mentioned requirements, you qualify to apply for payday loans. Also, you do not need to follow a long procedural documentation procedure that as it is required while applying for traditional loans. Undoubtedly, applying for payday loans online is one of the best parts about these loans. You can search for a reliable money lending company, read its terms and conditions and fill up the application form. Once this is done, you will have to provide all essential information to the lender like bank details, personal information, and job details and also contact details. The lender may also ask you to provide information about your relatives as references so that if the lender fails to contact you at the time of repayment, your family member can be contacted. Once you submit the application form over the internet, it goes to higher authorities for approval and verification process. With the application form, you will also have to provide all the vital documents to the lender like identity card, salary slip, job appointment letter, address proof and the like. Iif you have a bad credit, the process will not be affected as lenders do not consider borrower’s bad credit while providing payday loans. And once the loan is approved, the amount will get deposited in your bank account just within 24 hours. But if you fail to repay the debt, you may end up facing bad consequences like paying high amount of late fee and some additional charges as well. On your failure to repay the loan, the lender would charge high late fee and you may end up paying double the loan amount. You would also not be allowed to renew your loan if you don’t pay it back in due time. If you are determined to apply for payday loans, you must carefully choose the lender. You must consider the following points before choosing the money lending company: 1. The application process must be transparent and the company must be reliable. For this, you can read the company’s testimonials and talk to its clients in person. Quality loan service must be provided to the borrower in an honest manner as well. 2. The money lending firm must ensure privacy to the borrower. During the process, a borrower shares his/her personal as well as employment related information with the lender and so his privacy should be maintained. Unauthorized persons must not be allowed to access the borrower’s documents or even the application form. 3. The borrower must ask the rate of interest that would be charged from him/her on a specific amount. This would give the borrower an idea about the amount that will have to be repaid on due date. The interest rates will help you determine an affordable money lender. 4. How safe is the online application process? 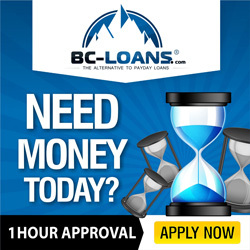 If you want to apply for payday loans over the internet from the comforts of your home or office but are still wondering if the online application process is safe and secure, you must see the money lender’s website and check if the company ensures security. 5. Before you finally decide the money lending firm from where you would avail fast or quick loans, you must compare rate of interest of at least 2-3 companies so that you are aware about the costs that are being charged on these loans. 6. If you have any query, contact the firm and ask for essential details. Meanwhile, the borrower must be aware that payday loans must not be availed for purposes like vacation or any other casual reason. Payday loans must only be availed when there is an emergency like unforeseen financial crises or when one has to pay education expense, house renovation expense, car repair or even pending medical bills. Do you know that if you don’t have access to internet, you can also apply for payday loans over phone? There are many money lending companies that offer this facility over phone. All you have to do is contact the firm, provide the required details and fax them the documents along with the application form. The information is then verified and loan is approved by the lender. You may get the amount transferred to your bank account just within few hours. 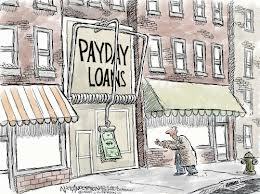 But just as a coin has two sides, there are pros as well as cons of payday loans. While these loans are available easily, they can prove to be addictive. Before falling prey to payday loans, you must first form your budget carefully and try to spend according to it. You can also choose to borrow money from acquaintances and pay back conveniently. You can also decide to go for counseling sessions so as to understand how to manage the budget.